Premium Finance Group Australia believes that it is essential for our customers to be able to identify and deal with a broker who has the ability, authority and proper training to hear and respond appropriately to any complaints or disputes. 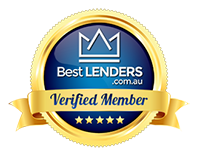 We are a long term member of the Mortgage & Finance Association of Australia (MFAA) and as such we are also subject to the requirement to have in place an Internal Dispute Resolution procedure. e-mailing finance@premiummortgage.com.au (Addressed to the Complaints Officer). When we receive a complaint, we will attempt to resolve it promptly. If we do not reach agreement on your complaint, you may refer the complaint to the Approved External Dispute Resolution (EDR) Scheme. The external dispute resolution provider is AFCA.